Q&A: – Does Teething Wake Babies?? The experts in child health have a variety of opinions – as does anything to do with babies it seems – but generally the consensus is that teething is uncomfortable when you see the lumps under the gums and generally only lasts a week or two at the upmost! So if night waking has persisted longer than this, then it is not teething. 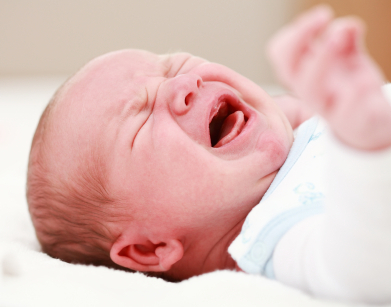 Teething may have started it – but usually doesn’t last anymore than a few nights. What to do for teething at night? If you are fairly sure, ie. Lumps under the gums, teeth cutting through and other grizzliness etc then use some baby panadol or neurofen at the first night waking and your baby should settle within 10-15 mins back to sleep. If your baby doesn’t settle then the night waking isn’t teething related. I would advise you to avoid helping him to get back to sleep in some way, calming is okay for a few minutes however by helping you without realizing become your baby’s sleeping cue when they wake during the night. So do what you need to do and then let him go back to sleep and you as well.